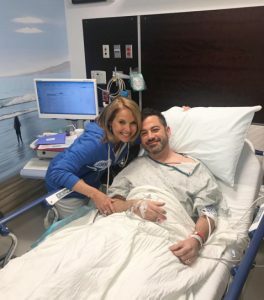 Kimmel turned 50 in November and took Couric up on her offer to accompany him for his first colonoscopy to screen for colorectal cancer, which is the number two cancer killer among men and women combined, and the third most commonly diagnosed cancer in the United States But it’s also highly preventable and treatable. ACG recommends that all normal-risk individuals undergo colonoscopy beginning at age 50, and age 45 for African Americans. But if you have a family history of colorectal cancer— especially in a first-degree relative, such as a parent, sibling or child—your physician may recommend earlier or more frequent screening. You should also talk with your doctor if you notice any unusual symptoms, such as rectal bleeding or a change in bowel habits. Christina Ha, MD, a gastroenterologist at Cedars-Sinai in Los Angeles performed the exam. 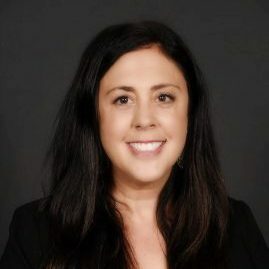 Dr. Ha, a member of the American College of Gastroenterology, noted that Kimmel’s “clean” colon was the result of his following and completing the colonoscopy prep which enabled her to perform a thorough examination of the colon. Although Dr. Ha reported that the exam found no sign of polyps, Couric jokingly showed Kimmel keys, toy soldiers and a harmonica that were found. Dr. Christina Ha, Cedars-Sinai, with Jimmy Kimmel. Source: YouTube via Jimmy Kimmel Live! Couric’s late husband, Jay Monahan died of the disease in 1998, and she has been a leading force in colorectal cancer awareness efforts not only having the screening done on TV in 2007 but also founding Stand Up to Cancer (SU2C) with eight other women.